Hare’s Looking at You, Babs. He played the game. Then the game played him. To the death. Every morning Joyce Williams plays a game called LifeMaster. In one hour, LifeMaster takes him through his day. Joyce then goes out and lives exactly the day he's played. Until the day his game cube gets destroyed. His life goes into default mode. LifeMaster plays the game. Joyce lives the life. Joyce expects life will get worse. Instead it gets better. Way better. He's making more money than he can spend. He's hanging out with his favorite sports hero. He has a gorgeous girlfriend. He partners up with Herculisa, a crime-fighting superheroine. He becomes Jayhawk, a superhero himself. Life is good! Life is perfect. Then LifeMaster changes from a game of life to a game of life and death! Joyce Williams starts out everyday tuning into LifeMaster who maps out his day and then when the machine is off Joyce goes through the exact same day. 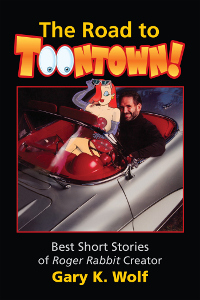 One day his world is blown appart when his apartment is blown up and his lifemaster cube is destroyed. Slowly after a meltdown he begins to slowly go through his day making choices and finds the game has continued without him, and things around him change for what seems to be the better. He gets promoted a few times and winds up in a super secret job beating down bad guys. He meets a famous pro basketball player that picks him to be friends with. He also finds so much great things happening to him, earning more LifeMaster points than he can spend. The world is perfect for him. Joyce finds the kid who's been playing his game and in a final movement Joyce ends up ending his own life in LifeMaster which leads to more issues and some black mail from the kid who has been playing LifeMaster. The end of this was awesome couldn't have predicted a better outcome! Have you ever wished you were a superhero? Until the accident Joyce is fairly content with his steady (if boring) job at an insurance company. His biggest wish is to afford an upgrade to a nicer hotel on his next vacation. Little does he know how much his life is about to change. The best way to describe Typical Day is to say it's a graphic novel without pictures. From the first time Joyce attempts to navigate life without the guidance of LifeMaster his adventures, sidekicks and nemesis are larger than life. One day his life is perfectly ordinary and the next he's pole vaulting over an electric fence with a pink, seven foot tall woman named Herculisa. What endeared me to Joyce was his reaction to the unbelievable things happening around him. As surprised as he is by certain events he slowly grows accustomed to his new life and it becomes his new normal. I'll admit that I was not a fan of some of the negative character traits that emerge when Joyce faces additional challenges but I completely understand why they would occur. In his shoes I would almost certainly have had the same reaction. 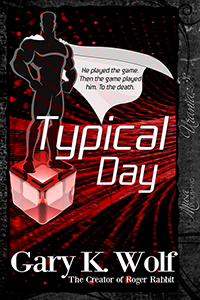 Typical Day by Gary K Wolf (of Roger Rabbit fame) is a wonderful novella which, for an all too brief moment, filled a need in me for a little satire. I miss the good old days of the 1960's and 70's when social commentary with a cutting edge was in vogue. Today it's unacceptable to critique what goes on around us. If people can't sing in tune, American Idol offers them guidance on more appropriate career choices. If someone is worried about their waist measurements, The Biggest Loser delivers nonjudgmental assistance to make their hopes of a healthier life come true. Positive spin always underpins what we say and write. Negative vibes are to be kept to ourselves lest we damage fragile egos and puncture the dreams of those we meet. 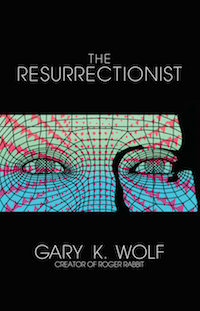 So this science fictional parable takes us to a world where a massively interactive machine allows us to program our daily lives. So long as everyone buys into what the computer says will happen, it happens. Who needs free will when you can have perfect certainty how your day will turn out. This is a potential paradise. . . or not, depending on what happens on your typical day. Welcome to another murderous season in the ultraviolent sport of Street Football. Where 21st Century gladiators use clubs, knives, guns, and brutal mixed martial arts to advance the ball and defeat – or kill – their rivals. Follow the action as quarterback T.K. 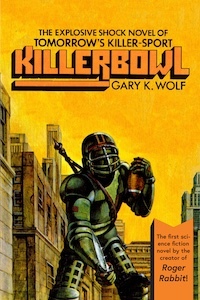 Mann plays the most dangerous game of his life, the game known as......Killerbowl! Roger Rabbit characters © Walt Disney Pictures / Amblin Entertainment, Inc.
Site Created by KMD Web Designs.